Podcasts are a growing form of entertainment and news. Here are a few suggestions to listen to on the way to work, at the gym or while you cook and clean. 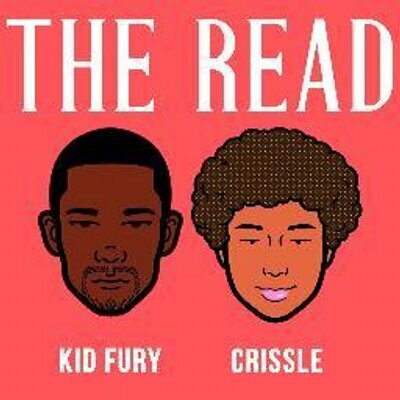 Radio/TV personality and writer Chrissle along with YouTuber/actor Kid Fury dissect celebrity gossip and pop culture with bite and humor. They stan for all things Beyonce, they champion social justice and they celebrate black excellence. I’m all the way here for it. I’ve been a loyal listener for years. Get involved. This is exactly who the “right” talks about when they say “the liberal media”. Part of the Crooked Media Company, this group of former speechwriters, journalists, strategists etc. come together to unpack and explain the importance of the week’s political headlines. They joke with each other throughout creating a lighthearted but informative environment designed to rally their “leftist” base of listeners. Comedian and political speechwriter Jon Lovett hosts a live show, recorded at a comedy club. The weekly live show features interviews, panel discussions and hilarious games. His panels are normally engaging political figures, witty writers and well informed entertainers. I can’t wait for them to come to Atlanta to record. Desus Nice and The Kid Mero rep BX all day. The podcast is not about anything in particular. It is just two friends in a recording studio talking. To get to the hilarity, you’ll have to get through the intro, the drop and their MILLIONS of aliases which take approximately 15 minutes. Yes, the introduction is long and confusing for newbies, but the show is overall hilarious. In addition to their podcast they are actually the hosts of the hit Viceland tv show “Desus and Mero”. The brand is strong. Plus size model Tabria Majors and friend Mindy J. discuss dating, love, beauty and more in a raw, unfiltered way. For me it’s refreshing to hear black women keep it so real about sexuality, finance and dating. Plus can I just point out how they celebrate their curves and other full-figured bodies. Angela Rye is an Ivy League educated attorney and political activist, come political analyst. She is probably best known for her lively, straight-shooter commentary on CNN in the wake of the Trump election. Her podcast quickly recaps the news of the week and why it matters. She shares important stories for African-Americans to follow. But I live for her no-holds barred conversations with some of the the best and brightest in politics, philanthropy and journalism. She refers to herself as “sophisti-ratched”. I actually love the descriptor. Gary Vaynerchuck is a master salesman, marketing guru, entreprenuer, motivational speaker and all-around hustler. He has a “Watch” Facebook talk show and a YouTube vlog. The podcast tends to be audio clips from speaking engagements, interviews on his talk show, advice given on his YouTube show. These quick bytes tend to work for those who are seeking business advice or motivation. Yes, I know this podcast is seasonal and coming to an end along with the HBO series Game of Thrones, for which it is the companion. But if you EVER decide to go back and watch the series from the beginning– these would be so great to listen to in between each episode. They talk about the episode itself, the making of and more. They have insights from the show runners and actors. And they frequently compare the show to the book series. It just makes the show more amazing. I’m definitely going to relisten when I rewatch! This companion to the HBO hit series “Insecure” features two of my favorite internet personalities who are real-life besties. If you watch Insecure, which you should, they break down the episodes delving into sexuality, mental health, relationships, friendships, careers, morality, social justice and more. In short, Michael Steele is an interesting figure. You may know him as “the Black Republican Spokesperson”, but he’s so much more. Former Luitenant Governor, former Chair of the Republican National Committee (RNC) and now a politcal commentator. On the SiriusXM radio show he hosts with Rick Ungar, they try to present “Rational Republican Radio”. They try. But I sometimes enjoy the excerpts they share on the podcast. If you like to dine out as much as I do, you already know that it can get pretty pricey. In the video below, I’ll tell you how to save money in Atlanta! Weekly Meal Deals from Creative Loafing! I love to cook, but I started this site to share my recommendations for dining out. Its a fairly expensive habit, but I’ve discover tips (lunch specials, happy hours, etc.) and tools (scoutmob, groupon, etc.) to make it a little more affordable. I recently found out about Creative Loafing’s Atlanta Restaurant Deals. The offers include discounts, pre-fixe menus and more. I think this is the beginning of a beautiful friendship.